Parshuram is not widely worshiped, although there are several temples near Indian coast dedicated to Parshuram. As the day is Akshaya Tritiya, people observe special celebrations on this day. People of faith observe this day by taking holy bath in the rivers. They perform charity and read holy scriptures. 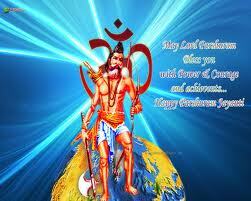 Lord Parshuram jayanti is celebrated well in the temples dedicated to Him.